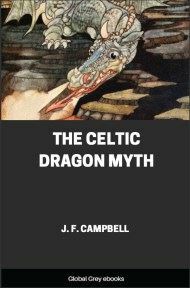 The author of this work presents the Celtic version of the classic myth in a translation that reflects the spirit and beauty of the original Gaelic. 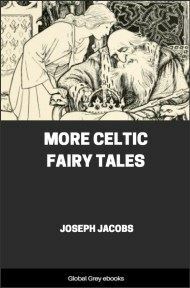 The volume also includes The Geste of Fraoch and The Death of Fraoch, followed by The Three Ways and The Fisherman in the original Gaelic. 1. Fraoch, son of Idad of Connaught, was a son of Bébinn from the Sídh, whose sister hight Boyne (Bofind). Of the heroes of Erin and of Alba the most beautiful man was he, save only that he was short-lived. Twelve cows his mother gave him from the Sídh; white with red ears were they. For seven years he kept household without taking to himself a wife. The number of his household was fifty princes, in age and dignity his equals, as to form and feature and bearing alike. 2. Find-abair, daughter of Ailill and Mève, from hear-say regarding him, gave him love, of which report was brought him at his place. 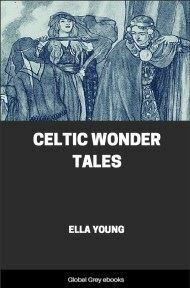 Erin and Alba were full of his fame and story. He accordingly bethought him of going to bespeak the girl, and then he talked of the matter with his folk. 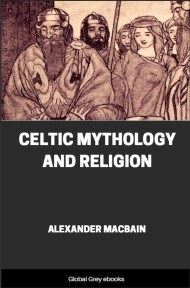 And his folk said: "Let word too be sent to thy mother's sister that she may give thee somewhat of raiment of the rare treasure of the Sídh. 3. To the sister Boyne (Bofind) he thereupon went to the plain of Bregia or Moy Breg. She gave him fifty mantles of dark blue, each for hue like to a beetle's back, with four black-grey brooch-rings on each, and each with a pin of red gold: with fifty pale white tunics having animal figures chased in gold. Also fifty silver shields edged with gold. For each man's hand a lance like to a candle such as befitted a palace, each having fifty rivets of white-bronze, with knobs of burnished gold: the spear-points from below were of carbuncle inwrought, while the front irons of the spears were chased with precious stones, so that night shone as ’twere by the rays of the sun. Further, fifty swords with hilts of gold, and for each rider a dark grey steed with bits of gold. Around each horse's neck was a plate of silver with bells of gold; fifty leather caparisons in purple with threads of silver, with buckles of gold and silver, and animal devices for ornament. Fifty whips in white bronze, with a golden hook on the handle of each. Seven grey-hounds in chains of silver, with an apple of gold a-piece, each having greaves of bronze. There was no colour which the hounds had not. Accompanying them in garments of diverse colours were seven trumpeters, with trumpets golden and silver, and golden pale yellow tresses, and they had plaids that glistened like the Shee. In front of them went three jesters having silver diadems and gilt about. Each had shields engraved with devices, with crested staves and ribs of white metal along the sides. Opposite them were three harpists, each of kingly presence. And in that guise they set out for Cruachan. "I behold a host coming towards the fort in their numbers; a troop more beautiful or splendid never came to Ailill and Mève since they assumed sovereignty, nor ever will. It is as if my head were in a wine-vat with the wind that goes over me: I have never seen the equal of the feats and frolic (the games and gestures) of the hero. His play-rods he casts with a shot from him, and the seven grey-hounds with their seven silver chains are at them ere they fall to earth. 5. Then the folks came to view them from the Dūn of Cruachan, insomuch that they smother one another, and sixteen are killed while looking on. 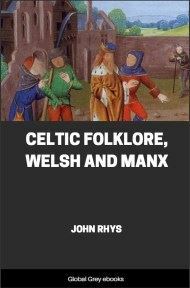 On alighting at the door of the dūn they unyoked their horses and set loose the grey-hounds, which chase to Rath Cruachan seven hinds, seven foxes, seven hares, and seven wild boars, and these the youths kill on the lawn of the fort. 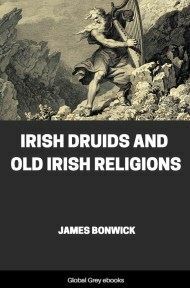 Thereafter the dogs dashed into the Brei and caught seven others, which they deposited at the said entrance to the door of the chief rath, where Fraoch and his folk sat. 6. 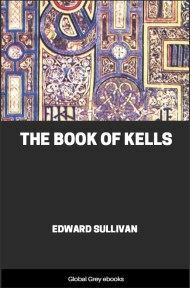 King Ailill sent word to them, and enquired whence they had come. They accordingly name themselves after their true names, which they gave. "Here," said they, "is Fraoch, son of Idad." This the steward declares to the king and queen. "An illustrious young hero," quoth Ailill, "let him come into the Liss." And quarters were allotted them. 7. The plan of the house was thus: seven apartments it had from fire to wall all around, decorated with gold, each with a fronting of bronze, and partition carvings of red yew variegated by fine planing withal. Three layers of bronze in the arched skirting of each apartment, with seven layers of brass from where the shields rested to the roof-tree. Of pine the house was made, and it had a covering of shingle on the outside. Sixteen windows it had with brass shuttings in each, and a brass yoke across the roof-light. Four beams of brass in the apartment of Ailill and Mève, all adorned with bronze and in the very centre of the house.